Think about quotes like, "There is no shortage of growing tech hubs" or "42.2 percent growth in emerging tech job postings." What places come to mind? San Francisco? New York? Would it surprise you that these quotes are referencing Utah? Yes, you heard us, Utah. The tech sector is beginning to boom in Utah. Where there is tech, there is scrum, an agile framework for delivering customer value early and often. Here we’ll cover the current state of scrum in Utah, we will give you the skinny on the current Utah job market, the Utah agile community, and new scrum certification opportunities in Utah. Utah is leading the way in tech growth and scrum roles. Cities all over Utah are experiencing exponential growth of opportunities; everything from customer service to software development is on the rise. Dubbed Silicon Slopes (i.e. the new Silicon Valley), Utah is moving and shaking. Wanna know more about this emerging career path in Utah? Let's go over some data about the growth of tech and scrum in Utah. The use of agile techniques in Utah has gone up exponentially in the last few years. Median salaries have risen to be on par with national averages. Depending on your certification level you can expect a median salary between 80K-110K a year. Although these numbers are on the low end of the national average, keep in mind two things: the cost of living is much lower in Utah than a lot of places, and that the tech industry in Utah is still an emerging market. Utah is becoming a hub for the hottest new technology companies around. Forbes named Salt Lake City, Utah as it's number four best city for tech jobs. In 2018, two major tech IPOs took place in Utah: Pluralsight (on-demand technical training) and Domo (cloud business intelligence). In 2019, Qualtrics (experience management software) is being acquired by SAP for a record $8 billion. These and others are considered unicorns in the venture capital world (tech companies valued at $1 billion or more). Dell Computers: Salt Lake is home to a major location of Dell Computers. This giant of the computer scene is always on the lookout for new talent. Bamboo: Featured in multiple "best places to work" lists by big names like Entrepreneur and Glassdoor, Bamboo is another Utah option. Bamboo is paving the way in human resources software and is on the rise. Lucid Software: Lucid Software has headquarters in South Jordan, Utah. This is a software goliath that has roots firmly planted in the Utah soil. They made a commitment to the state of Utah to keep all of their locations in the state. The promised to invest millions of dollars into the community and add hundreds of jobs. Their claim to fame is the creation of LucidChart. This versatile internal software allows for simple creation of diagrams and flowcharts. Ancestry.com: Another of the famous companies that call Utah home is Ancestry.com. Ancestry created the entire market of at-home genetic testing. With many competitors coming after, Ancestry maintains the highest amount of collected DNA samples of any private company outside of law enforcement. Headquartered in Provo, Utah employees report high job satisfaction levels. They also report average salaries of $112K a year. Better yet, their CEO has a 90% employee approval rating. The common thread between all of these companies is a standard line in tons of their job descriptions. That line reads "Must have experience with agile and scrum." Certification could equate to a foot in the door. What about networking opportunities? Can you get together with a group of people that speak your same language? In short, yes. Utah has a thriving history and community of agile professionals and thought leaders. There are plenty of people ready to mentor newbies to the profession. In the same vein, there are lots of folks ready to bounce ideas off of a veteran scrum master. The agile manifesto was inked in Snowbird, Utah in 2001. Although the signers of the manifesto came from all over, Utah agilists proudly claim their home as the birthplace. The influence of those who established the agile values and principles is strong throughout the state, and the Utah agile community is uniting and strengthening Utah’s economic and technology growth. Utah Agile is a nonprofit community supported by Agile Alliance and Agile Leadership Network, is the official user group of the Scrum Alliance in Utah, and is the agile chapter of Silicon Slopes. Membership in Utah Agile is free, and they offer presentations, workshops, networking, small group discussions and open space opportunities for learning, mentoring and collaboration. They want to bring the novices, the experienced and thought leaders together to make the agile community even stronger. Started by Alistair Cockburn, one of the signers of the agile manifesto, several years before it was signed, Agile Roundtable is an open forum roundtable held once a month, every month to discuss challenges and recent successes in the group's software development projects. These meetups are three hours long and offer a helping hand to any scrum professional in the area. Focused on user experience, design, strategy and product management, Product Hive is a great place to get involved in becoming a better product owner. Product Hive offers great content through presentations by successful product management professionals, as well as a mentoring program that connects people one on one for continuous improvement in their craft. DevOps includes the broadest range of applied IT topics, and DevOpsUT believes everyone's experience matters, from a startup, to a struggling IT department, to the most established of organizations. DevOpsUT shares experiences from beginners and masters alike. Presentations can be aspirational, a post-mortem, and everything in between. A group of dedicated software craftsmen looking to build a community. They host meetups to get to know others who are passionate about their field. hey offer lots of different opportunities to interact. These are great places to start getting involved in the conversation and building on your training, certification, and experience with agile approaches to delivering value to customers. They even collaborate amongst themselves to unite the tech and agile communities as a whole. With the continued popularity of agile techniques, these will only grow. Is There A Future For Scrum In Utah? 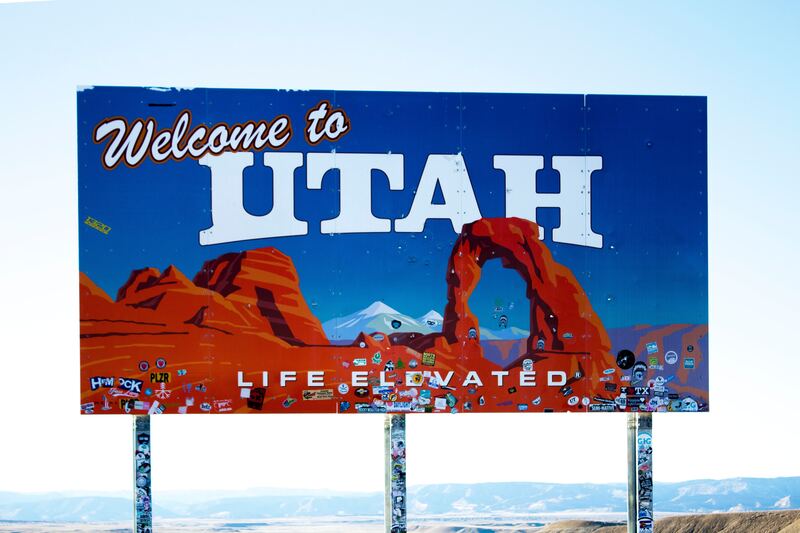 Tech is booming in Utah and there are tons of tech jobs available all over the state. But, the number one most in-demand tech job in Utah is a software developer. Yes, software developers are currently the most in-demand profession in Utah. More specifically, full-stack developers are increasingly in demand, which is the type of developer scrum teams need to be successful. This is only the beginning of this industry. As new tech companies flock to Silicon Slopes, jobs will continue to become available. As more and more companies arrive, there will be much more demand and not enough supply. So, what does that mean for you? Opportunity. Jobs requiring scrum certification will become abundant but there will only be a few people to fill them. This allows you to expect more from your employer. Position yourself as a leader. We are offering certification training courses in Lehi, Utah. We pride ourselves on our super interactive approach to certification courses. 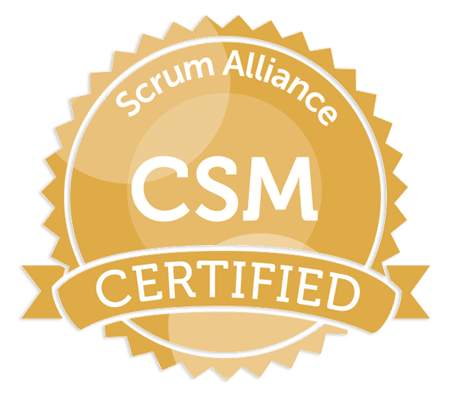 We provide you an in-depth understanding of everything you'll need to take your next step in becoming a Certified ScrumMaster (CSM). It covers everything from basic theory to practical applications you can take with you into your career. Sign up for our next Utah Certified ScrumMaster training.